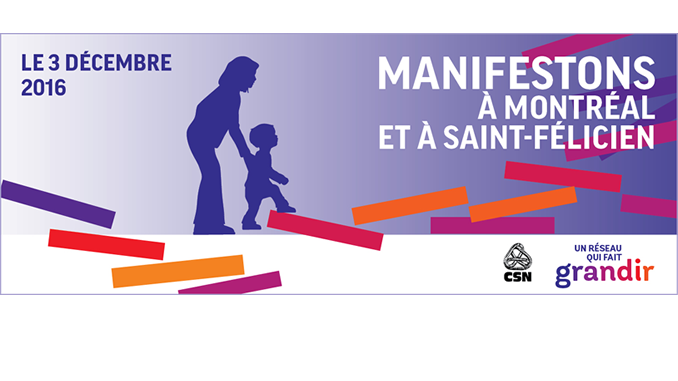 A national demonstration in protest to the cuts made in educational daycares will be held in the streets of Montreal and Saint-Félicien on December 3rd. APPA members are invited to meet in Square St-Louis at noon and then join the march that will proceed to the Prime Minister’s office downtown Montreal. For complete information, please click on “More information” below.